So, in honor of St. Patrick’s day, I thought I would post part of a character design that’s in keeping with the tradition of the day. When I was working on one of my novels, A College Affair, I designed on of the characters with a St. Patrick’s inspired tattoo. Of everyman who speaks of me. I thought about adding some green to it, but I think I like it better in simple black and white. I also really like the idea of drawing out any tattoos that you give a character. Even if it’s just a quick sketch, I think it helps to flesh out the character even more. Also, I’m not a fan of giving a character a tattoo just for the sake of having a tattoo. In story, Reagan and Kenna both have stories behind their tattoos. This is definetly my personal view flooring my writing, but sometimes that happens. But if you’re going to go to the trouble of describing a character’s tattoo, give some reason for them having it, other than “LOL!it looks cool!!:D”. Unless it was a tattoo that a character got when they were young and didn’t know better. But hey, there’s a story right there. I guess that goes for anything you go out of your way to mention about a character: explain why you mentioned it. So, look at that. 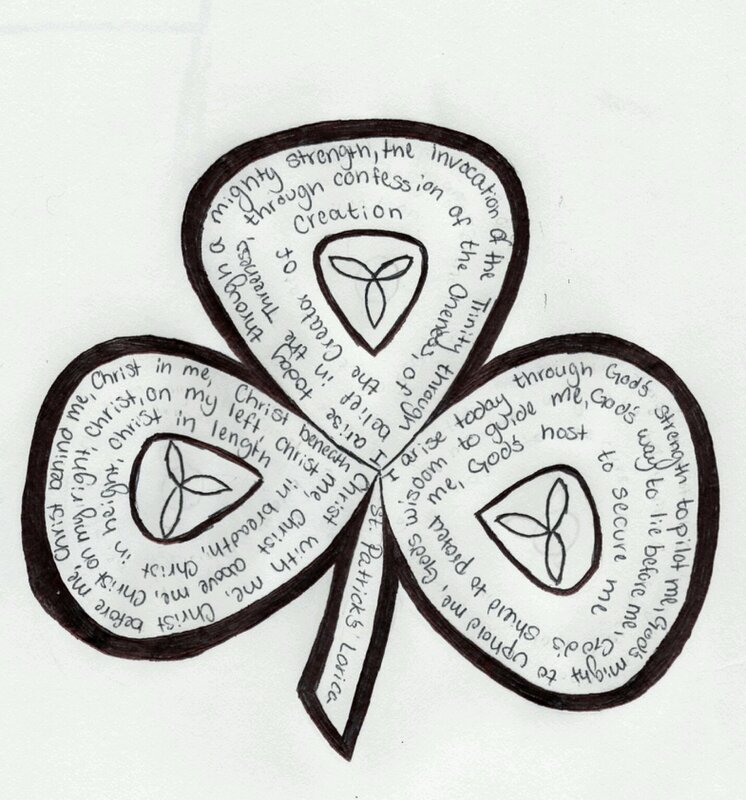 I managed to tie in something to do with St. Patrick’s day and writing thoughts and characterization in one blog post. Not entirely sure what we talked about all through Biology today, but hey! Happy St. Patrick’s Day! Also, excuse any typos; this was written entirely on my Kindle Fire. Not the best thing for a long blog post.